The Hückel method of approximate molecular orbital (MO) calculations on π electron systems. Hückel was born in the Charlottenburg suburb of Berlin. He studied physics and mathematics from 1914 to 1921 at the University of Göttingen. On receiving his doctorate, he became an assistant at Göttingen, but soon became an assistant to Peter Debye at Zürich. It was there that he and Debye developed their theory (the Debye–Hückel theory, in 1923) of electrolytic solutions, elucidating the behavior of strong electrolytes by considering interionic forces, in order to account for their electrical conductivity and their thermodynamic activity coefficients. 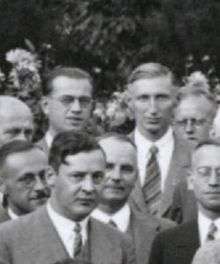 After spending 1928 and 1929 in England and Denmark, working briefly with Niels Bohr, Hückel joined the faculty of the Technische Hochschule in Stuttgart. In 1935, he moved to Phillips University in Marburg, where he finally was named Full Professor a year before his retirement 1961. He was a member of the International Academy of Quantum Molecular Science. Hückel is most famous for developing simplified quantum mechanics methods to deal with planar unsaturated organic molecules. In 1930 he proposed a σ/π separation theory to explain the restricted rotation of alkenes (compounds containing a C=C double bond). This model extended a 1929 interpretation of the bonding in triplet oxygen by Lennard-Jones. According to Hückel, only the ethene σ bond is axially symmetric about the C-C axis, but the π bond is not; this restricts rotation. In 1931 he generalized his analysis by formulating both valence bond (VB) and molecular orbital (MO) descriptions of benzene and other cycloconjugated hydrocarbons. Although undeniably a cornerstone of organic chemistry, Hückel's concepts were undeservedly unrecognized for two decades. His lack of communication skills contributed. The famous Hückel 4n+2 rule for determining whether ring molecules composed of C=C bonds would show aromatic properties was first stated clearly by Doering in a 1951 article on tropolone. Tropolone had been recognised as an aromatic molecule by Dewar in 1945. In 1936, Hückel developed the theory of π-conjugated biradicals (non-Kekulé molecules). The first example, known as the Schlenk-Brauns hydrocarbon, had been discovered in the same year. The credit for explaining such biradicals is usually given to Christopher Longuet-Higgins in 1950. In 1937 Hückel refined his MO theory of pi electrons in unsaturated organic molecules. This is still used occasionally as an approximation, though the more precise PPP Pariser–Parr–Pople method succeeded it in 1953. "Extended Hückel MO theory" (EHT) applies to both sigma and pi electrons, and has its origins in work by William Lipscomb and Roald Hoffmann for nonplanar molecules in 1962. Was man sich dabei vorstell'n soll. ↑ Hartmann, H.; Longuet-Higgins, H. C. (1982). "Erich Hückel. 9 August 1896-16 February 1980". Biographical Memoirs of Fellows of the Royal Society. 28: 152. doi:10.1098/rsbm.1982.0008. JSTOR 769897. ↑ Suchy, K. (May 1980). "Obituary: Erich Hückel". Physics Today. 33 (5): 72–75. Bibcode:1980PhT....33e..72S. doi:10.1063/1.2914092. ↑ Lennard-Jones, J. E. (1929). "The electronic structure of some diatomic molecules". Transactions of the Faraday Society. 25: 668–665. doi:10.1039/TF9292500668. ↑ Doering, W. V. N. E.; Detert, F. L. (1951). "Cycloheptatrienylium Oxide". Journal of the American Chemical Society. 73 (2): 876. doi:10.1021/ja01146a537. ↑ Longuet-Higgins, H. C. (1950). "Some Studies in Molecular Orbital Theory I. Resonance Structures and Molecular Orbitals in Unsaturated Hydrocarbons". The Journal of Chemical Physics. 18 (3): 265–261. Bibcode:1950JChPh..18..265L. doi:10.1063/1.1747618. ↑ Bloch, Felix (1976). "Heisenberg and the early days of quantum mechanics". Physics Today. 29 (December): 23–27. Wikimedia Commons has media related to Erich Hückel. Hückel, E. (1931). "Quantentheoretische Beiträge zum Benzolproblem". Zeitschrift für Physik. 70 (3–4): 204–286. Bibcode:1931ZPhy...70..204H. doi:10.1007/BF01339530. E. Hückel, The theory of unsaturated and aromatic compounds, Z. Elektrochem.Angew. Physik. Chem., 1937, 42, 752 and 827. E. Hückel, 'Theory of the magnetism of so-called biradicals', Z. Physik. Chem., 1936, B34, 339. R. Pariser, R. G. Parr, 'A semi-empirical theory of the electronic spectra and electronic structure of complex unsaturated molecules. ', J. Chem. Phys., 1953, 21, 466–71; J. A. Pople, 'Electron interaction in unsaturated hydrocarbons.' Trans. Faraday Soc., 1953, 49, 1375–85. R. Hoffmann, W. N. Lipscomb, 'Theory of polyhedral molecules. I. Physical factorizations of the secular equation. ', J. Chem. Phys. 1962, 36 2179–89. E. Hückel, Ein Gelehrtenleben: Ernst u. Satire (1975 ISBN 3-527-25636-9). 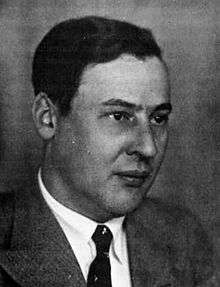 A. Karachalios, Erich Hückel (1896 –1980): From Physics to Quantum Chemistry (Springer, 2010 ISBN 978-90-481-3559-2).